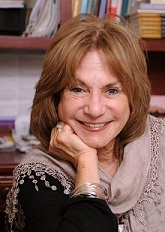 The Biggest Investment of Your Life: Coparenting After Divorce – Judith Ruskay Rabinor, Phd. I applaud Bryan Borzykowski’s recent (12/6/12) New York Times article, “When Couples Divorce But Still Run a Business Together.” The lessons learned by his co-partners made me reflect on one of the most important investments divorced people face: the business of co-parenting their children after divorce. While running a professional business together after divorce isn’t easy, it’s probably no more difficult than running the business of family. Those newly divorced who back away from co-parenting, fearful that cooperative co-parenting with an ex may be too emotionally fraught might find it easier to think of themselves as business partners. Managing schedules, finances and keeping one’s eye on the big picture are features that are at the heart of both endeavors. Co-parenting after divorce shares many of the same challenges as running a small business; what’s more, the emotionally lucrative rewards surpass the financial rewards of a Fortune 500 company. Like parents with children, the divorced business partners had all begun their professional businesses together while married and managed to continue their commitments after the divorce. They advised sitting down together to tell their employees about an impending divorce and to reassure that jobs will remain secure. Children, too, need to know about a divorce ahead of time and to be reassured that they remain secure in their parents’ love. Funny, that is precisely what I advise my divorcing or divorced clients to do if they wish to co-parent successfully. The divorced co-owners in Borzykowski’s article say it takes two years before the new relationship becomes easier. That’s also my experience in counseling families in the art of co-parenting. And when you think about it, two years isn’t such a long time for a high quality investment.